Signing ceremony for a 4.6 MWp solar PV project that will be implemented at the University of Jordan by the coalition of Philadelphia Solar company and the Ahmed Badawi Electromechanical Contracting company. This project will reduce the consumption bill of the University of Jordan Hospital from the current consumption of 12.5 GWh/year. The project includes solar PV energy systems for a total of 4.6 MWp of Solar Carpark solutions which is considered the largest project of its kind in Jordan and one of the five largest solar PV carpark projects in the world. 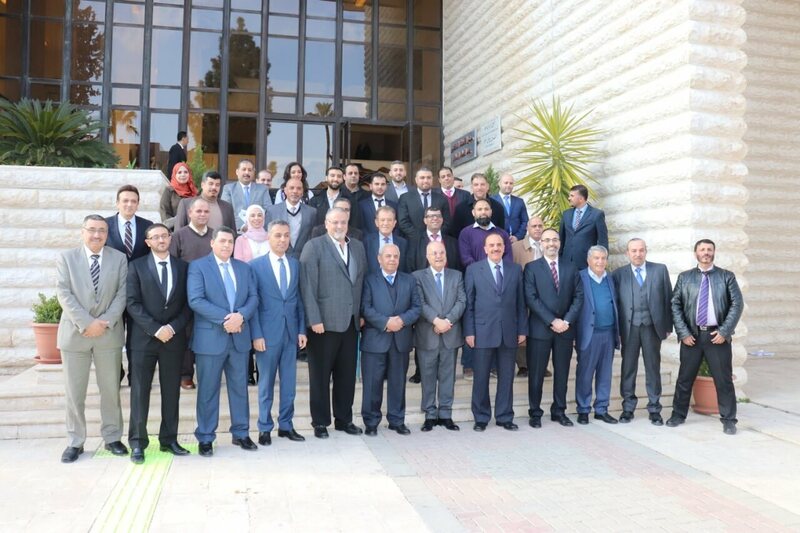 This ceremony took place in the presence of Prof. Abdulkarim Al-Qudah President of the University of Jordan, Adnan Badran, Chairman of the Board of Trustees of the University of Jordan, Mr. Abdulrahman Shehadeh, Chairman of Philadelphia Solar Company and a number of industry leaders.